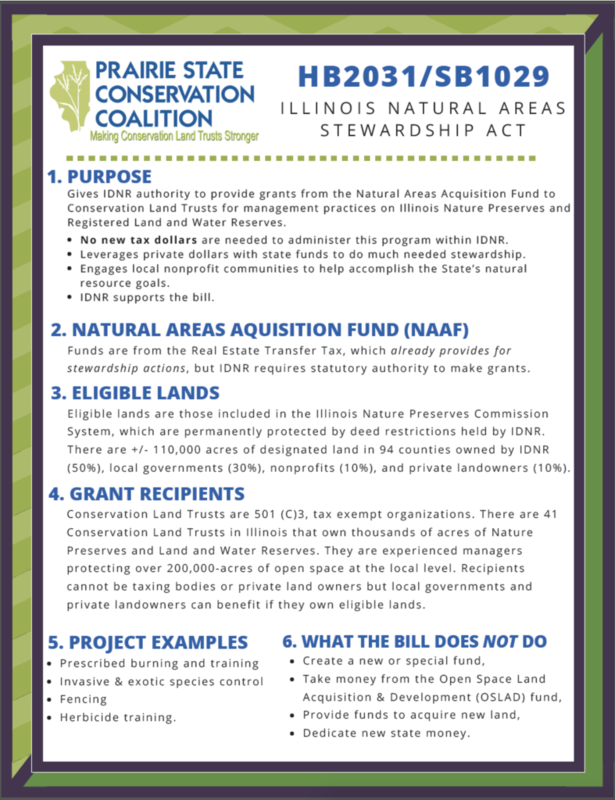 The Illinois General Assembly is considering the Natural Areas Stewardship Act (HB 2031/SB 1029) that would allow expert nonprofit organizations to help local and state government conduct needed stewardship actions on Illinois Nature Preserves. Nature preserves are permanently protected places that give us rare glimpses of what Illinois’ true nature looks like. Spread across 110,000+ acres in 94 counties, Illinois Nature Preserves support tall grass prairies, oak groves, sandstone bluffs, cypress swamps, and other rare native habitats. 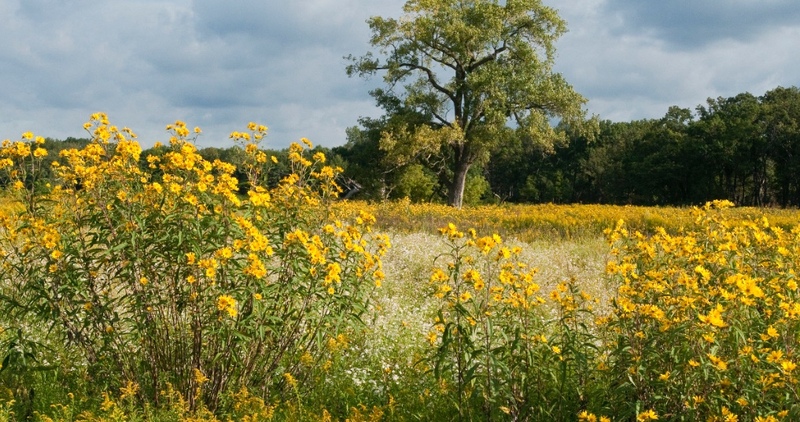 You can contact your state legislators and request their support for the Illinois Natural Areas Stewardship Act by clicking on this link provided by the Prairie State Conservation Coalition’s land trust partner, Openlands. Please share this information with your members. Together we can make our voices heard and make a difference.